Nothing can beat the luxurious feel of traditional moisturiser. I love my serums but I always have one moisturiser in stash to just slather my face with it at any time of the day. Lancôme hydra zen anti stress moisturiser is my current favourite. It has soft light weight creamy texture which absorbs instantly into skin, leaving skin soft with the burst of hydration. It has cooling effect which is perfect when skin is little stressed with environmental factors like wind or heating. It is heavy of scent front though as other Lancôme products but I am not that bothered by it. It has moringa and rose extract which soothe skin leaving it radiant and fresh. Lancôme micellar water is possibly the best micellar water I have found till date. It has rose water which gives the burst of freshness to skin. It is the mildest yet extremely efficient and removes every bit of makeup. It leaves skin feeling clean, soft and hydrated. And it doesn’t taste terrible too. I reckon it is better than Bioderma but a tad expensive. Naturaline is all natural and vegan Swiss brand. I got a chance to try their pomegranate eye contour cream and I am so impressed with the results. It helps in reducing puffiness and tightens the delicate skin around eyes. It rejuvenates and refreshes skin for youthful and brighten look. The texture is creamy and slightly thick. It takes a while to absorb into skin but once absorbed, it doesn’t leave any residue behind. I always suffer from puffy eyelids after a restless night but NATURALINE eye cream keeps my eyes fresh. It is the one of the best eye cream I have tried so far. This product has mixed reviews on internet. Some people hate it while other loves the results. However, in my opinion it is not a terrible product. 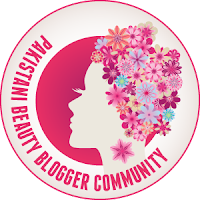 When I started blogging, one of my earlier blogpost was about getting thick lashes using castor oil. So I know that any last product which contains castor oil, works sooner or later. The trick is being consistent with it. I have tried few other serums in the past and results take time to show up. HairBurst serum also gives decent results and actually grows and conditions lashes (I only tried on eye lashes as they are very fragile) into fuller and somewhat thicker eyelashes. But you can’t see the result overnight. It takes time and patience. The brush on wand makes the application so easy and mess free. HairBurst lash and brow enhancer serum is also vegan friendly. Disclaimer: *This article may contain PR sample. Some links may be affiliate links. These sound like some great products. I really like Lancome products so I will definitely give these a try. 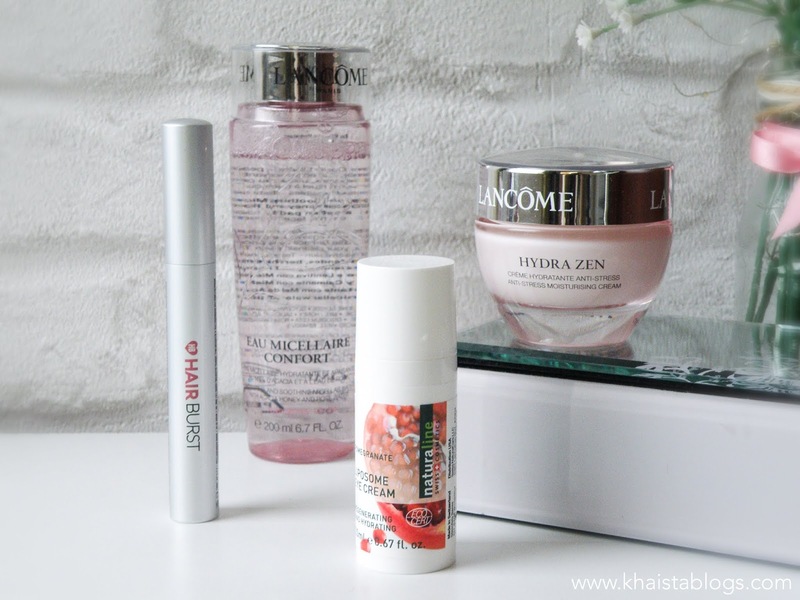 Lancome seems to do some really great products. I've not tried these ones in particular but I have always been impressed with those I have tried so I would be interested to try some. Love the sound of the Lancôme Hydra Zen Anti-Stress Cream - much needed in this cold & windy weather! It is a gorgeous moisturiser. I need to try this lash and brow enhancer mine never grow! Love the way you have described the products, but dear I have stopped using the products which contains chemicals, parabens and other harmful additives. I have started using Kamaaskhi Ayurveda's products, they are pure and natural with organic herbs and pure essential oils. Happy with the ayurervda and these products does what they claims. You should review their products too.